This Pirate Treasure Hunter Smurf miniature is in mint condition and has never been played with. This plastic figure is about 2 inches tall. 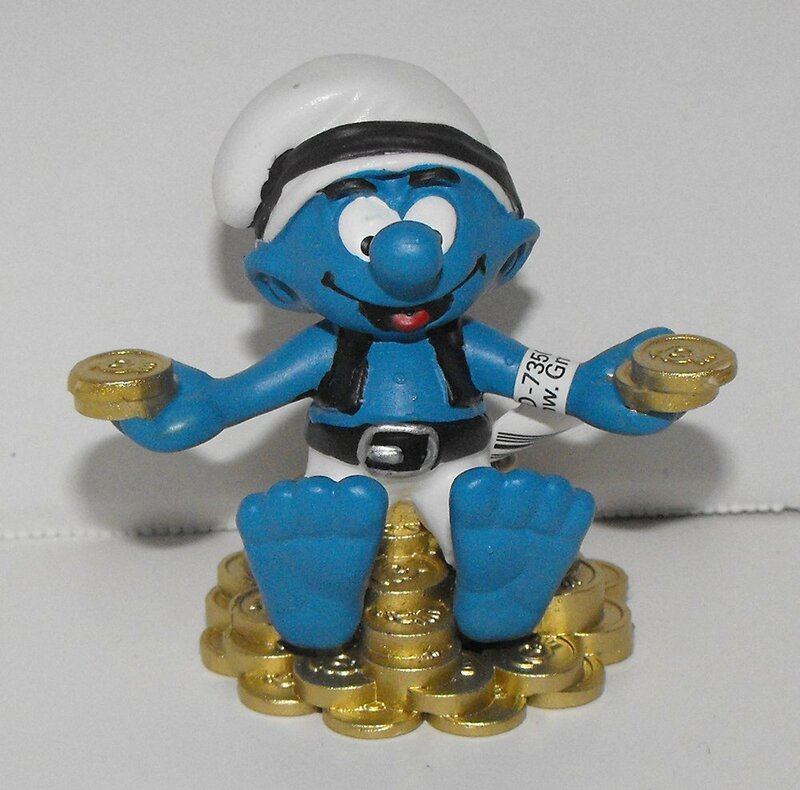 This is from the collection of Smurfs distributed in 2014 as part of the Smurfs Pirate Set. Made by Schleich. Markings on figure: Am Limes Schwabisch Gmund Made in Germany 2013.